Sorry for the blurry pic – I was just passing by Portage Place a few minutes ago and noticed something. 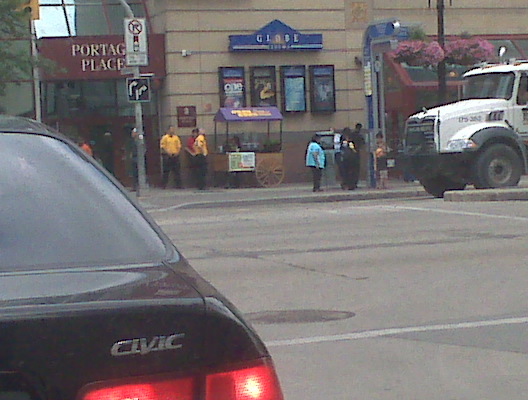 Those red and yellow blobs are actual security guards and downtown BIZ watch people in front of crack dealer’s alley. Admittedly, they may just be there for ‘crowd’ control as there was (another smart idea) a concert in front of the mall. They should be posted there 24-7.